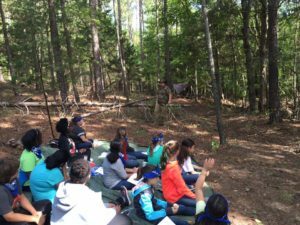 TRAILBLAZERS Essential Field Trip Program – Trail Blazer Survival School, Inc. 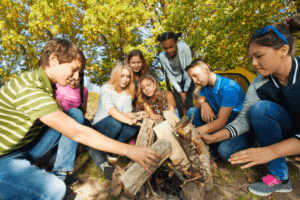 The Essential Field Trip Program is designed for children ages 10 to 14 years old that are participating in an Elementary or Middle School Field Trip. The program is approximately 4 hours in length plus the amount of time you want to allow for lunch. We provide a picnic shelter, two porta-potties, 1 instructor for every 15 students, and materials for any crafts that will be completed during the event. Each student will be given a 24-page field journal that is designed to engage the child and help them retain information they learn. A compass and pace count (ranger) beads are given to each child so they can take mementos back home from their adventure. We also provide pencils, safety scissors and other miscellaneous materials needed to instruct the groups. Upon arrival, all the students will gather together for the Welcome, the Code of Conduct talk, and to take a group photo. To encourage the students to learn, we will create a spirit of competition by dividing them into teams designated by a specific color bandana. 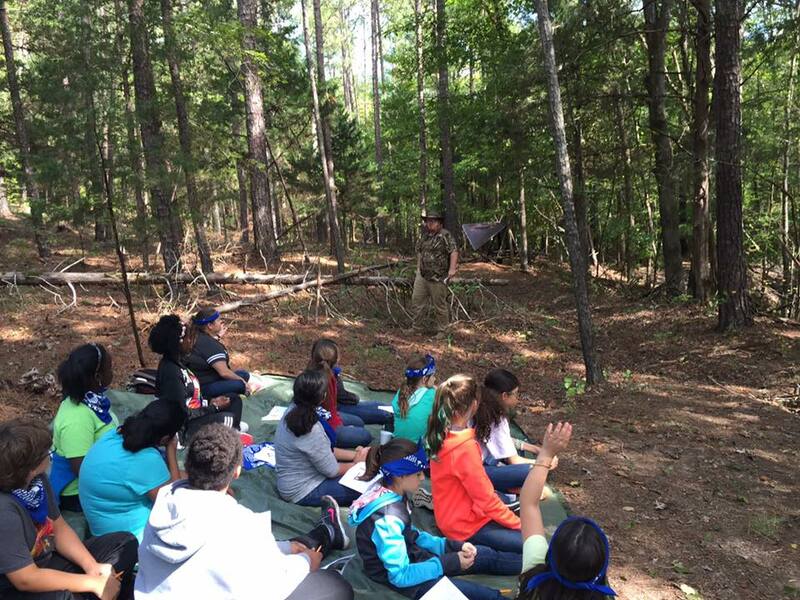 The student will get to take their bandana home along with the field guide, compass and pace counter they make. The teams will attend two 40-minute rotations to learn about the topics below, after which we will take a break for lunch. After lunch the teams will complete two more rotations before regathering, dismissing, and loading back into the vehicles.